If and when a natural disaster strikes, will your family be prepared? While you can never know exactly when a disaster might strike, planning is paramount to surviving such an event. In fact, it is this very same unpredictability that makes proper planning for a catastrophe so important. You also never know where a natural disaster might strike, which is why we advise keeping an emergency kit for disasters on hand at any place you spend significant time - in your vehicle, at the office, but especially at home. Today, we’re going to focus on five items in our military surplus store that you should consider keeping in your home emergency kit to ensure you are prepared if and when disaster strikes. This survival kit is hand assembled in our warehouse in Millersburg, PA. Most of this kit consists of genuine military surplus, mixed along with some of our higher quality non-military surplus items. 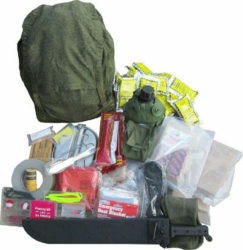 There are way too many items to list here, but this kit includes a great variety of essential survival items, including emergency blankets, fuel gel packets, water rations, paracord, a machete, fishing kit, and a first aid kit. 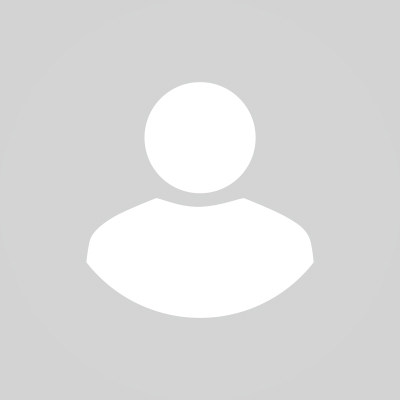 Check out the product pagefor a complete list of items included in this incredible value. Best of all, this kit comes packed in one of our heavy-duty European military backpacks. During an emergency or natural disaster, it is not uncommon for entire areas to lose electricity for days, weeks, or more. Our 120-hour emergency candles are the perfect no-nonsense way to guarantee your family won’t be left in the dark. Each of these candles burns for 5 days straight - a whopping 120 hours each. Our emergency candles are sold in two-packs, and each candle comes in a thick, heavy-duty glass jar. You can rely on each two-pack of candles to burn for a combined 10 days straight. Forget about matches or lighters wrapped in sandwich baggies! If your survival is ever dependent on starting a fire, you will be happy you purchased our magnesium fire starter. This simple to use fire starter can double as a keychain if you want it on your person at all times. Simply shave off some magnesium, and use the other edge of the tool to create a spark. The magnesium shavings will ignite quickly, and you’ll never have to worry about your fire starting abilities being ruined by a little moisture. Designed and used by professionals, this first aid kit has everything you need and then some. Of course, this kit includes all the basic items one would expect in a first aid kit, like bandages, wipes and gauze pads, but it also includes some serious medical tools, such as a blood pressure cuff, a cervical collar, casualty blankets, and CPR mask. For under $200, this robust first aid kit comes already packed in a heavy duty backpack. If this kit is a little bit too much for your needs, try our basic Platoon First Aid Kit. You may be familiar with our Disaster blanket, but this deluxe version is even heavier. 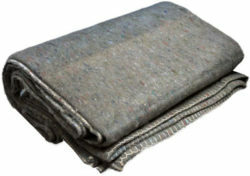 If a natural disaster strikes during cold weather, you’ll stay nice and cozy in this heavy-duty blanket made of recycled wool and synthetic blends. These are the perfect blanket to keep anywhere you spend significant time - in your car, at the family cabin, and of course in your home. Pick up a six pack of our deluxe disaster blanketsfor a discounted price and keep one anywhere you could ever need one. Preparing For Natural Disasters With Coleman's Military Surplus Items! 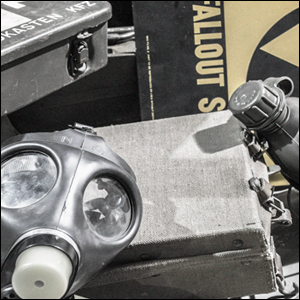 As you can see, many military surplus items make great additions to any survival kit. The majority of our military surplus products are genuine, high quality products made to order by US and European militaries. Our ability to buy surplus military goods in bulk allows us the privilege to sell these products much below market value. Take advantage of our buying power and stock your survival kit with authentic military-grade equipment for a fraction of the price.